Winamp, Nullsoft, AOL Music, and AOL (America Online Corporation). pictures and logos appearing on memo-se.deviantart.com are the property of their respective owners. (submitted by the users of this website) on this site or any other site we link to. Good job!Это была одна из самых любимых обложек для винампа для мну.Всё на месте,единственное,раз эта шкурка для аимпа четвёртой версии,то логичней будет запретить динамическое изменение цвета для текстур цветовых схем ,а оставить для стекла ,тем самым существенно расщирятся комбинации цветовых схем. The interface to the AIMP Winamp Skin is difficult to adjust. 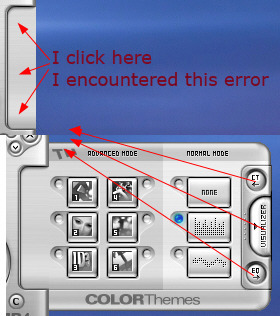 Some (Equalizer, Color Themes, Visualizer, Effects) errors are corrected opening gave off. Было время, пользовался. Красочный, но маленький. But it seems that QMP finally died and it's support finished, so I started to look for another players, but all of them had simply terrible skins without needed easy accesible functionality. However today I came up with this skin and was quite happy and suprised at first. But after I installed and tried I have found out that this one is a bit not so user-friendly. 1) There's no button to minimize the skin right away - I mean you have to minimize it in a tray and only after it will show the minimal skin. It would be nice if the button which maximizes the skin from the mini version will work other way as well. 2) I didn't find how to make it stick to upper edge of the monitor in mini version - it simply goes throu the edge so you have to look. 4) Playlist is not accesible at all in the mini skin. Simply no button. Most annoying thing here. Have alway return to standard view to work the playlist. 5) it is possible to change color of the player body parts, but background color of the playlist and other displays can't be change. Perhaps you will find time someday to update your skin as it has really nice potential. Attached few pictures of my QMP skin just to show what I meant above. In case you need - I can send that skin file to you. Так как мой вопрос относится к этой обложке, то почему нету анимации плавного появления окна эквалайзера (ну, знаете, раньше ведь выезжали нормально) ? И не только в этой обложке, походу вообще убрали такую анимацию?